Every Sherlockian remembers their first time. The first glimmer of fascination–the curiosity–the first few pages and then the moment. The rush. The binge. The constant need for more. More Sherlock Holmes. It must be true to the Canon (and if it’s true to widely accepted apocrypha, such as Baring-Gould’s biography, so much the better). Sherlock Holmes and Dr. Watson need to be recognizable as Sherlock Holmes and Dr. Watson. It must be as accessible to the novice as it is to the long-time Sherlockian. It must leave the reader wanting more. Bonnie MacBird’s Art in the Blood, on the other hand, fills the bill perfectly. His hair awry, his face ashen with lack of sleep and sustenance, he looked, quite frankly, at death’s door. He lay shivering on the couch, clothed in a shabby purple dressing gown. An old red blanket tangled around his feet and with a quick movement, he yanked it up to cover his face. His ministrations are not nearly as effective as the arrival of a good case, however. Although Holmes has refused a request from Mycroft to look into something regarding “E/P,” he jumps at the chance to help a beautiful French chanteuse find her son. Ten year-old Emil does not know that Mlle. la Victoire is his mother; as far as he is concerned, he is the son of the Earl of Pellingham and his wife, daughter of an American industrialist. He is only half-right. Having lost her own child as an infant, Lady Pellingham agreed to raise Emil as her own; his mother has only been allowed to see him once a year, at Christmas, and even then under the guise of being a family friend. This year, however, she tells Holmes, she received a letter telling her that, not only will she never be allowed to see her son again, but that her life will be in danger if she disobeys–a threat underlined by a physical attack a few days later. Mycroft’s case of international art theft (with diplomatic complications) has nothing on this damsel in distress and her endangered child. Fortunately for the British Government, they turn out to be linked…and linked in such a way as to hide a dark and unimaginable conspiracy. Watson is a master at making the most wicked villains (Baron Gruner, Sarah Cushing, James Moriarty) and twisted plots (“The Adventure of the Speckled Band,” “The Hound of the Baskervilles”) suitable for a general audience. In this case, which the author (editor?) found hidden in a collection of papers in the Wellcome Library, he tries his best, but one can’t help but think that the reason it never saw publication had not so much to do with the nobility of the participants as it did the horrific nature of the crime. 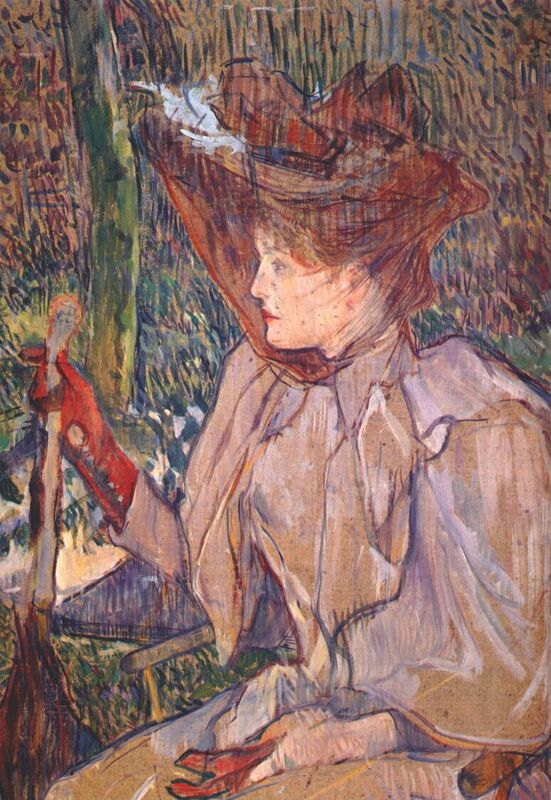 Honorine Platzer, Lautrec’s “Woman in Gloves.” Author Bonnie MacBird believes she may have been the actual Mademoiselle La Victoire. So–does Art in the Blood work as a “gateway” pastiche? Let’s evaluate…. Art in the Blood is exceptionally well-written. I must admit to having a weakness for prose that does all kinds of artsy things and/or features Ponderous Moral Observations. I particularly love being punched in the gut by Deep Thoughts on Human Nature. Art in the Blood is not really that kind of book, which is one of its great strengths. After all, as much as Holmes accused him of romanticizing everything, Watson actually tended to stick to the facts of his cases, rather than musing too much on the psychological makeups of villains, victims, or detectives. He focuses on the crime, the clues, and the solution–the excitement of the thing for he is, after all, a man of action. Art in the Blood, while it may occasionally hint at the emotional lives of its characters, is very much a mystery and an adventure, told in a highly visual, cinematic fashion. It’s very easy to imagine this story translated to a large or small screen, and I think this quality will make it appealing to a large audience. As for the book’s original characters–these are both generally necessary in a pastiche–and potential disasters. However much an author loves Sherlock Holmes and (or) Dr. Watson, the temptation to either pay too much attention to one’s own character, or even to live through him or her, is a strong one. Ms. MacBird brings in several major original characters, all of whom are well-drawn, but only one is a real scene-stealer. Still, the grandson of the famous Vidocq is so amusingly full of himself that it’s easy to forgive him, and to allow him his Big Moment when it finally comes. What about its Canonicity? While I have gradually become less of a stickler over the past five years, many Sherlockians don’t appreciate much departure from the Doylean world and, honestly, when you’re trying to introduce your friend, partner, or child (in the case of this book, a “child” being no younger than thirteen) to Sherlock Holmes, it’s natural to want to use stories which don’t involve the Great Detective in space, or a robot Watson. I am happy to report, therefore, that Art in the Blood is quite canonical. I couldn’t find any real issues with its relationship to 221B. Mary does go on an extended visit to see her mother, and we know from The Sign of Four that her mother was actually dead…but as her own husband claims such a visit in “The Five Orange Pips,” it becomes strangely all the more accurate for its Watsonian nature. As for the other details, Art in the Blood is meticulously researched. People and places are where the book says they are, when it says they are, and if the reader wants to know more (as you should), there is a list of annotations and research notes online at http://www.macbird.com/aitb/notes/. At the same time, the narrative doesn’t get bogged down with period details, always a danger with historical accounts. There is a teeny bit of “as you know” explication when Sherlock tells Watson about his relatives, the Vernets, but one gets the impression that life with Sherlock Holmes was probably filled with such moments. An unreliable Watson and a pedantic Sherlock Holmes? You can probably infer from that that I believe that Ms. MacBird keeps our heroes in character, and yes–she does. While connoisseurs of the Watson voice may not hear him, precisely, the author does a creditable job of…um, transcribing his work. She also refers to their well-known foibles in creative ways–without just using quotes from the Canon. Therefore, we know that Watson is still a ladies’ man, not because anyone mentions “three continents,” but because he both claims to the reader that he has never seen shapely legs displayed in a cancan…but really hopes that will change. His humorous asides and sensitivities (such as his hurt when Holmes puts Mlle. la Victoire up in his old room) remind me a little bit of Nigel Bruce–in a good way–but he’s consistently the brave, loyal, intelligent physician who’s been missing the excitement of his former life. Holmes is the man of logic and determination, working hard to keep the lid on those “hidden fires” of his own past and current affections. Some may find his obvious–but never blatant attraction to Mlle. la Victoire anti-canonical, but really, it isn’t. 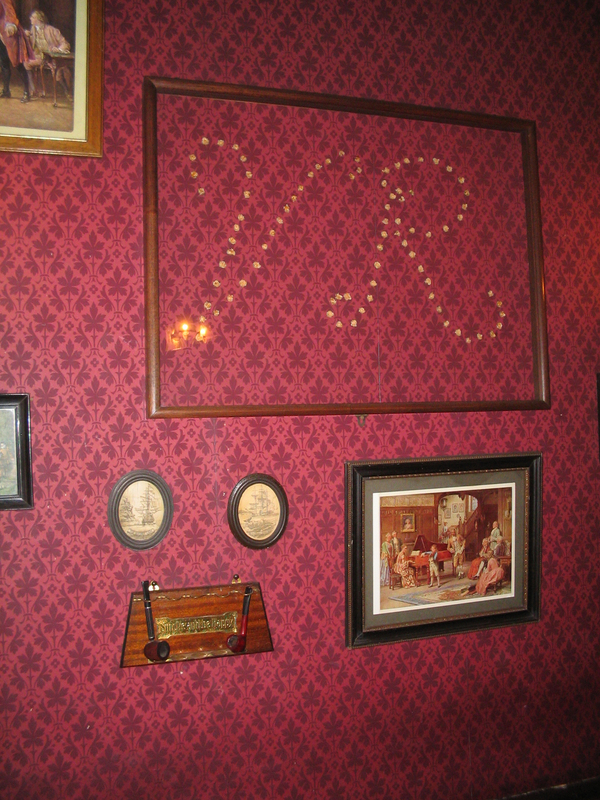 Depending on how one reads The Sign of the Four, Holmes may well have been attracted to Mary Morstan before Watson made his own feelings obvious. Their client is every bit as clever (possibly more so) than the much-admired Irene Adler, and her method of both attracting Holmes’ attention and making sure he’s as good as everyone says impresses him. Holmes’ concern for children, as evidenced in his work with the Baker Street Irregulars and his concern for the young Lord Saltire in “The Adventure of the Priory School,” shines through in this book, particularly in one touching instance involving Beeton’s Christmas Annual. 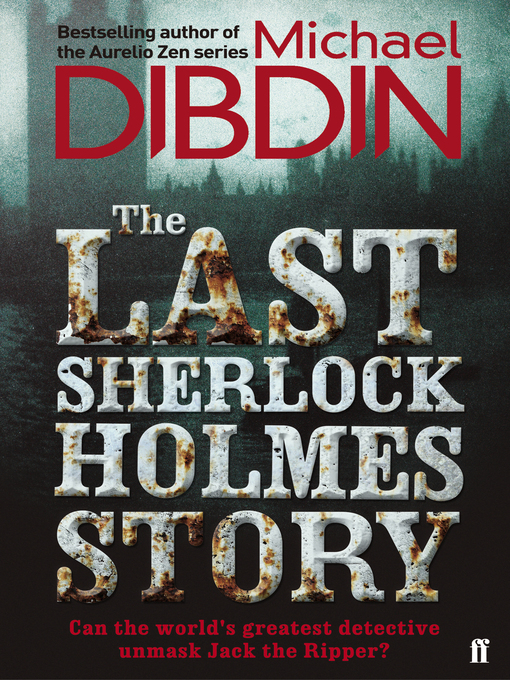 While not everyone enjoys glimpses into Holmes’ psyche, some of us do, and Ms. MacBird deftly supplies both sorts of reader, by providing small hints about the Great Detective’s past, while never going much further than that. No Freud in this one. Often when reading pastiche, I get the feeling that I’m reading a story written by a Sherlockian for a Sherlockian. We have our own lingo, our own inside jokes, our knowledge of obscure Canonical disputes, a long list of quotes–and we enjoy trotting them out for each other. This is all fine, of course (see what I did there? Huh? Huh? ), but when it comes to making new convert…er, introducing people to the canonical Sherlock Holmes, stories featuring buckets of acronyms, Easter egg references to the third episode of the Ronald Howard series, and quotes from Gillette’s play are probably not the best way to go about it. If you want your best friend to win the Mycroft one day, you have to start with books which make our heroes both real–and accessible. I guarantee you that your friends and family will be able to read Art in the Blood without texting you questions–and they will find it compelling and suspenseful enough to be honest when you ask them if they’ve read it. When they next venture into the Canon–which they may well do–they will find the heroes they just met (although you may have to explain the whole Victorian flashback thing). And they’ll wonder about all of those cases in Watson’s dispatch box, because, well, they need more. Ms. MacBird leaves Holmes and Watson in a good place (this isn’t a spoiler, as we know they live long past 1888. Long past.) but, while there is no hint of a new hitherto-unknown case in the offing, that door isn’t particularly closed, either. 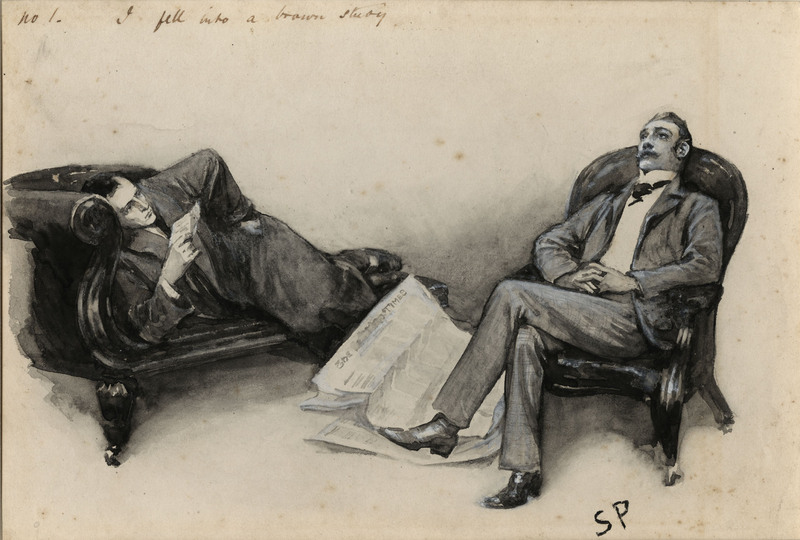 The book begins with a bored Sherlock Holmes, but ends with a bored Watson? Well, in Baker Street, there’s only one sure cure for boredom…. Art in the Blood is currently available in all formats in the United Kingdom, and will be released in the United States on October 6, 2015. It is available for pre-order. Otto Penzler is also offering a very limited edition (of a canonical 60 books only) featuring original illustrations, annotations, a foreword by Leslie Klinger, and deluxe paper and binding with marbled endpapers. it is a little pricey, but would make a wonderful special occasion gift for your favorite Sherlockian. See http://www.mysteriousbookshop.com/products/bonnie-macbird-art-in-the-blood-limited-edition for more details. Emmy-award winning writer and producer Bonnie MacBird worked as a feature film development executive for Universal and has written for both stage and screen, including the screenplay for TRON (hence the marked visual quality of her writing in Art in the Blood). A talented painter, she also teaches a course on screenwriter and is in demand as a speaker. She is on both FaceBook and Twitter, and you can learn more about her and her work at her website, www.macbird.com. *This review is taken from an ARC (advanced reading copy) from Harper Collins, London. It will also have a U.S. edition. ***Just in case you were wondering, Watson tells us that “…my friend threw considerable light on the case, something that proved most unwelcome among certain individuals at the highest levels of government.”–and then proceeds to say that all of this has to remain secret. It will turn up in “the history books,” he writes. Well, Watson, it hasn’t, and we know you’re still out there, so it’s time to tell us what you know! ****This theory linking genius and insanity has been around for awhile, and during Watson’s time was put forth by Cesare Lombroso, in The Man of Genius. While this book first appeared in 1889, a year after the events in Art in the Blood take place, Lombroso had published articles on the subject throughout this period as well. 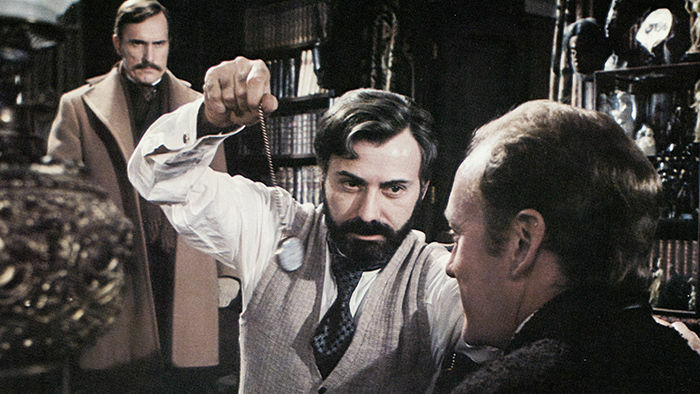 He was also responsible for the concept of “atavism,” or “throwbacks,” which is mentioned in The Hound of the Baskervilles and “The Adventure of the Greek Interpreter,” so we know that both Holmes and Watson were acquainted with his work.